Hi Folks Ive got a couple of important things I want to share with you today when it comes to healing a leaky gut. I’m Dr Hagmeyer and today we are talking about #1 Inflammation and a Leaky gut#2 Some of the overlooked factors outside of diet that cause a leaky gut and finally I’m going to talk to you about the 4 categories of MEDICATIONS that have either caused your leaky gut or right now are affecting your leaky gut from truly healing. You could be doing all the things right but if you leave out one ingredient, its like a recipe. The end result is not what your were expecting. Two very important things to always remember about your gut. #2- the Gut has a barrier- and when this barrier is eroded and broken down, we have lots of inflammation and we have proteins from the foods we eat seeping into our bloodstream antagonizing our immune systems. #3- You will see some “health” coaches talking about healing a leaky gut in 30 days. Folks this doesn’t happen while you gut may feel better in 30 days, you cant clean up 20 or 30 years of insult in 30 days. Just can’t happen- so don’t waste your money with anyone who claims they have a 30 day leaky gut program. Now…while diet plays a role in leaky gut, so do many other factors that often get overlooked things like blood sugar imbalances, chronic stress, inflammation, hormonal imbalances , infection, heavy metals, environmental toxicity, and if you don’t address all of these- your not giving your body the fair chance at healing. The latest research as it relates to chronic health problems, published in NEJM, National institute of Health, pub med all of these are pretty clear in showing the connection between a leaky gut and chronic disease. When I say chronic disease- I’m talking about things like depression, diabetes, anxiety, heart problems, cancer, thyroid problems, skin conditions, autoimmune disease, fibromyalgia, neuropathy and any disease that doesn’t kill you today but kills you over your lifetime and makes you miserable in the meantime. These are all tied into a leaky gut some how some way- and yet if you were to ask your doctor if he or she thinks you have a leaky gut- they would look at you cross eyed. Some will even think you crazy! So when your done watching this video go to google… type leaky gut and whatever condition you can think. Print up those articles for your doctor if you like. Why do I tell you all of this? Here’s why… If your doctor doesn’t know about this…its very likely the medications he or she has you on, will continue to be a perpetual cause of why you are sick in the first place and not getting better. And perhaps if your doctor is aware of this he or she may change the medication he/she has you on. its worth a shot. If you don’t look at the big picture, if you don’t start addressing all of the causes behind a leaky gut, your chronic health problem… is only going to continue to cause more sickness and disease in your body down the road. Medications do such a great job at treating those symptoms and hiding them that we often forget what our problem is in the first place. So its important that we don’t lose focus on what the main objective of health is and that’s to restore function back to the body so the body can health itself. If you have a leaky gut, its great that you feel better in 30,60,90 days, but you need to get retested. In addition to following a leaky gut diet and correcting those other causes behind a leaky gut, being aware of which medications could be making your leaky gut worse are also critical. This goes a long way to managing inflammatory and autoimmune conditions such as Hashimoto’s hypothyroidism and many other chronic health problems. So what medications can cause leaky gut or prevent a leaky gut from healing? Steroid drugs such as prednisone suppress the immune system and dampen inflammation. And While they may be life saving or necessary, it doesn’t change the fact that they can contribute to leaky gut. Many people take these medication for a long time, and the longer you take these the longer they will disrupt adrenal function. These medications raise your cortisol levels and in high doses breaks down the gut lining. This is how chronic stress/anxiety contributes to leaky gut as well. It raises cortisol levels. It’s for this reason people who are taking steroids should have a quantitative serum IgA level checked. If these are suppressed, then your immune system is also being shut down. #2 Non-steroidal anti-inflammatory drugs (NSAIDs): NSAIDs such as ibuprofen and aspirin have been shown to increase intestinal permeability aka Leaky gut within 24 hours of use and long-term use can contribute to a leaky gut condition. Kind of makes you wonder about the aspirin a day thing? To prevent heart attacks? No surprise than when you take enough of them because you have chronic headaches, chronic joint pain, muscle pain, etc- you get stomach pain- and GI bleeds. Hopefully you can start seeing that connection there. #3 Antibiotics: Antibiotics wipe out the beneficial gut flora, and this is another major contributor which can lead to leaky gut. #4 Chemotherapy drugs: Chemotherapy drugs breakdown everything so this is no surprise that they also lead to leaky gut. With all of this being said, All of these drugs have their purpose and you should not put yourself or a child in danger by avoiding a lifesaving drug in order to prevent leaky gut. However, if they are necessary, you will want to consider following their use with a leaky gut protocol to restore the intestinal lining and prevent a further deterioration of your health. So there you have it, 4 medications that cause leaky gut. If you think you have a leaky gut its important that you work with a doctor who is going to look at the whole picture- lots of people are selling leaky gut programs and selling lots of vitamins and probiotics. Work with someone who is going to properly test you, look at the moving parts as to why you have a leaky gut and then retest you so that you really correct your problem. Most leaky guts take 12-36 months to heal because of the many players that are at the root cause- its not a quick 30 day program like you might see some people talking about on the internet. So I hope you enjoyed today’s video- if you visit my website- I have over 900 pages/ videos dedicated to helping people get their lives back with natural medicine. Till next time take care, and remember keep digging and pulling back those layers. The Personal SIBO Recovery Program is a Natural Treatment for bloating, gas, constipation Diarrhea and other GI related problems. 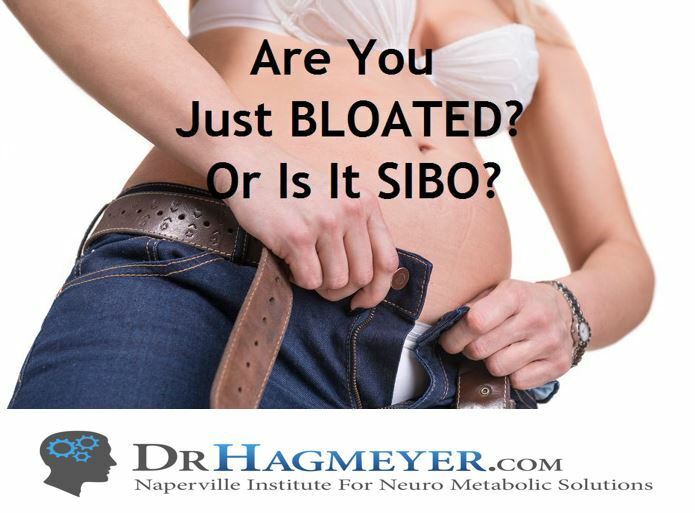 The Personal Program IBS/SIBO/SIFO Recovery Program is a Natural Treatment for IBS and other GI related problems. Our office implements Advanced Functional lab Testing, Natural Medicine/supplements as well as nutritional counseling tailored specifically to you. Not Sure Where to Start? Have a more complex GI problem you need help with? Have seen several other doctors and still suffering? Consider purchasing an in depth Case Review.